30" with 12 Hooks. Made of all metal. 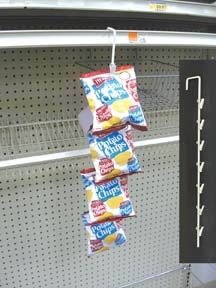 Hang chips or other merchandise anywhere.